AMI solutions play an important role in the drought in the U.S. today. It gives the utilities the ability to collect very granular data about the consumption, as well as things that are going on in the distribution network. 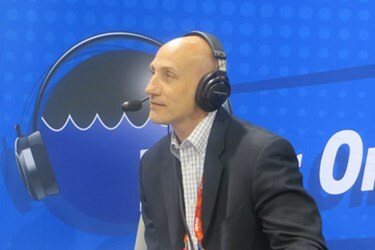 Joe Ball, Director of Solutions Marketing for Water with Itron, sat down with Water Online Radio to tell us more. “Just within the last two years, we’ve seen most of the RFPs or the systems that the water utilities are looking to buy now are all moving from AMR, automated meter reading, where they just get a monthly read, a consumption read, to the AMI-type systems. You gather all that granular data. There’s a lot more data for them to be able to help structure programs and to be able to reach out to their customer base, to help influence behavior,” Ball said. AMI solutions are valuable for a utility to have access to, and also to be able to present to their end customers, so they can understand what’s going on with their own end consumption, or with their own water consumption. They can not only use the data for billing, but they also use it for analysis purposes. “You bring back hourly interval data, which means you could see your hourly consumption at your residence, not only just big commercial and industrial customers but the individual residence,” Ball said. With access to an Itron system, you could go into your customer web portal, log in, and you could see your water usage throughout the day. From month to month, if you decide to start taking shorter showers, or install a drip irrigation system instead of just old-fashioned sprinklers, you could see the effect on your hourly consumption. This helps address behavior, to be able to meet some of the reductions that the utilities are having to deliver this year, especially in California. Click the radio player below for the full interview, and learn more about AMI and the other services ITron has to offer.